Intelligent transportation systems (ITS) include both the traffic stream control and the intelligent vehicles. Cell phone networks and global positioning systems (GPS) enable the use of geographical information (GI) so that individual vehicles can locate themselves and global transportation systems can be enhanced taking advantages of new information technology solutions and algorithms. One of the major parts of ITS research is the assignment, routing and scheduling of vehicles in global transportation processes. 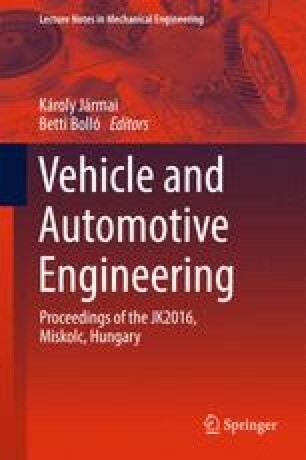 This paper proposes an integrated engineering optimization algorithm to support the solution of assignment and scheduling problems of vehicles in intelligent transportation systems. This novel approach combines the available hardware and software components of an ITS with an algorithm to optimize the transportation processes of a global supply chain. To gain insight into the complexity of the logistic problem, the new model of supply chain including ITS is also described. The described study was carried out as part of the EFOP-3.6.1-16-00011 “Younger and Renewing University—Innovative Knowledge City—institutional development of the University of Miskolc aiming at intelligent specialisation” project implemented in the framework of the Szechenyi 2020 program. The realization of this project is supported by the European Union, co-financed by the European Social Fund.